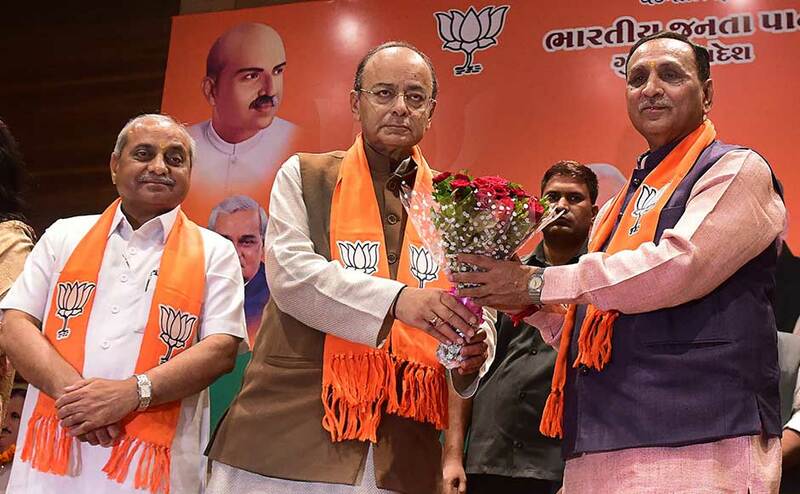 The new BJP government in Gujarat took the oath of office and secrecy administered by Governor OP Kohli at a grand ceremony on Tuesday. 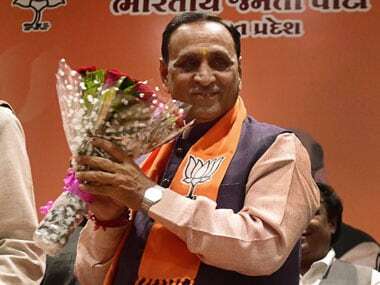 Vijay Rupani was sworn in as the chief minister of Gujarat on Tuesday for the second consecutive term after the BJP won the recently-held Assembly elections in the state. 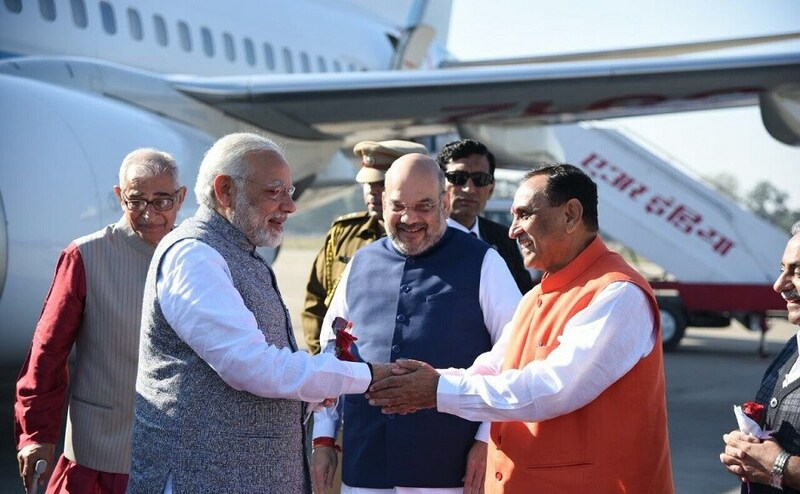 Prime Minister Narendra Modi arrived in Gujarat on Tuesday to attend the oath-taking ceremony of the new government in Gujarat. 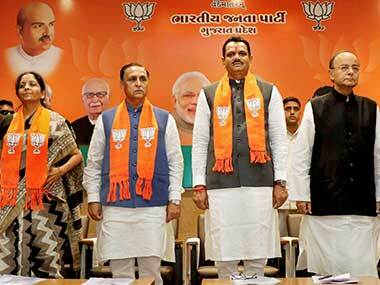 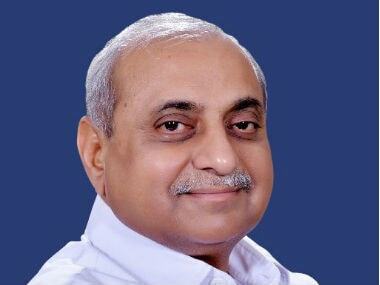 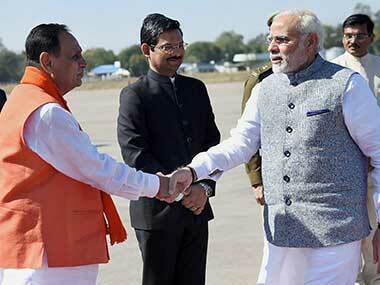 The new BJP government in Gujarat, led by Vijay Rupani, will be sworn in on 26 December, the party said on Saturday. 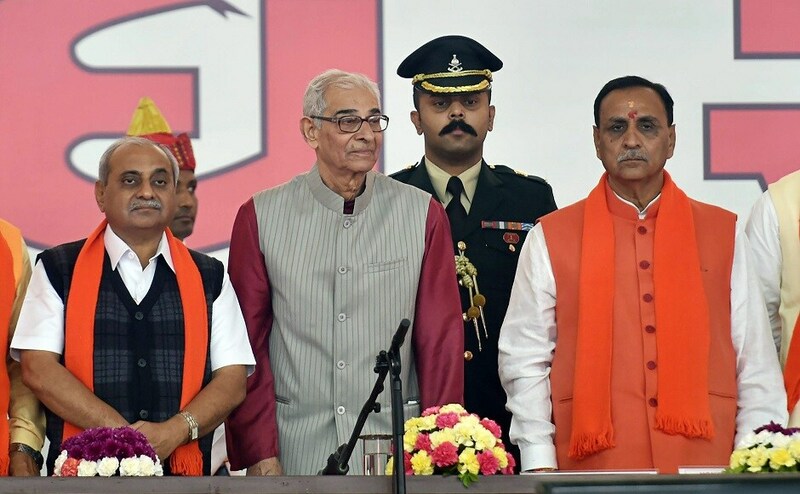 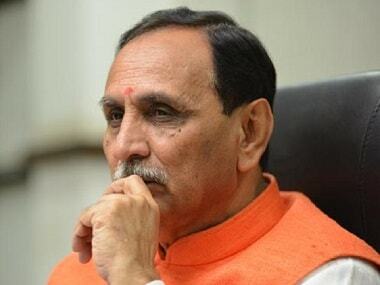 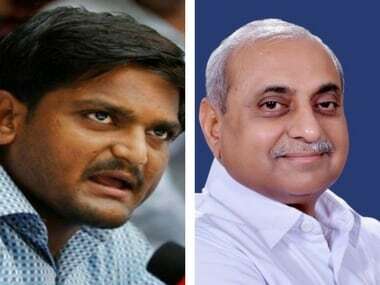 In the run-up to the elections, there were too many reports that Rupani was on a sticky wicket and was in real danger of facing the ignominy of defeat.